On October 30, 2013 at approximately 11:30 p.m. 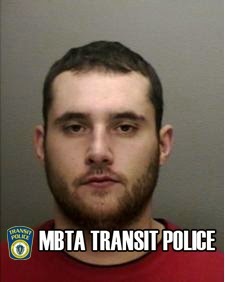 Transit Police officers assigned to the World Series game 6 observed a male, later identified as William Goodhue, 23 of Allston run into the portal tunnel toward Kenmore MBTA station from Blanford Street Station. Officers pursued Goodhue through the tunnel all the way to Kenmore Station and placed him into custody for Trespassing. Service had to held during the incident causing a delay at a vital time of the World Series break. Goodhue was transported to Transit Police HQ for the arrest booking process and is expected to be arraigned sometime today in Roxbury District Court.